Today we want to remind you about one of the best worldwide event for the cryptocurrencies and blockchain technology: the Consensus Blockchain summit. The Consensus 2018 will feature more than 70 Countries and more than 4,000 attendees among professionals, startups, investors, financial institutions, enterprise tech leaders, academic and policy groups who are building the foundations of the blockchain and digital currency economy. Consensus 2018, organised by Coindesk, will take place in New York between the 14th and 16th of May 2018. The first interesting and positive data of this year is the increase in participants which recorded a 125% growth. This important summit will not be just an opportunity to talk about important topics such as the state of blockchain, the new Icos Process, the use of blockchain in government etc (you can find the full agenda here) , but also to make New York the capital of the blockchain. 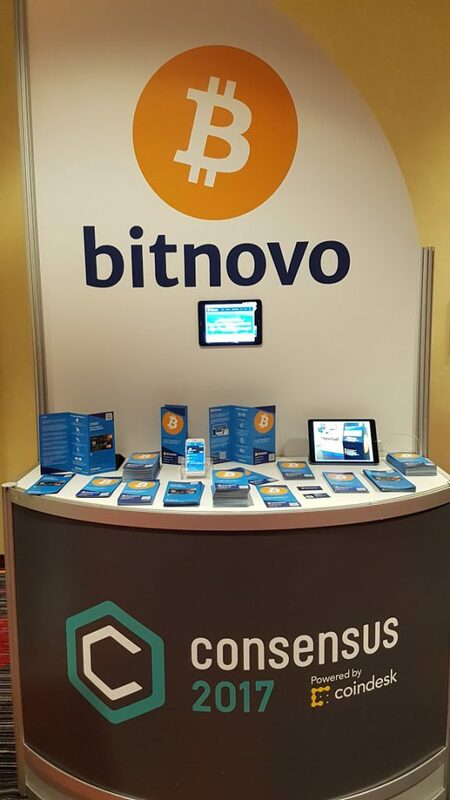 Last year Bitnovo attended the Consensus 2017 summit and it was a great experience not only for the interesting topics covered, but also for the positive effects that this event contributed to bring in the cryptocurrencies market. If we think about the positive feedback reached last year, just after the Consensus 2017, when the price of Bitcoin passed from 1,068 $ in April to 2,728 $ in May and the cryptocurrencies showed growth in the range between 10% and 70%, it is not difficult to predict how all the experts in the sector, as well as the whole crypto commuinty , wish for a positive effect on the dynamics of the cryptocurrency market. The co-founder of Fundstrat Global Advisors Tom Lee himself believes strongly that, by the end of the year, the price of bitcoin will reach $25,000.